I just returned from two weeks in the woods of northern Minnesota. This was my sixth summer reprising my college job as a camp counselor. The opportunity to be at camp at the same time as my three children has allowed me a unique perspective: I get to witness firsthand the benefits of sending my kids to camp. I am proud to work at Skogfjorden, the Norwegian language and cultural immersion program that is one of the fourteen Concordia Language Villages. Respekt is the guiding principle; all deltagere (campers) and staff promise to both have and take responsibility for their actions as part of the Skogfjorden promise. But I am willing to bet that most of the following benefits of sending your kids to sleepaway camp apply to pretty much any high quality summer program. Kids do things at camp that they may never attempt at home. Being outside of their normal social circle allows kids to try new things. Sometimes this is as simple as a picky eater who samples food at camp that he would flat-out refuse at home. My daughter, for example, barely nibbles the kid-friendly items in her lunchbox but she chows down on almost everything she is served at camp. But sometimes I have seen kids do incredible things that they would never dream of doing at home. I remember a girl in my cabin one year whose parents pulled me aside when they dropped her off to brief me on how incredibly shy she was. And she WAS painfully shy. But exactly one week later, I saw her stand up in front of the entire camp and sing a solo a cappella in the talent show. It was so beautiful that I teared up. Her parents saw a video of it on the camp blog and were. Totally. Blown. Away. The corollary of this is that kids get to explore different aspects of their personalities at camp. At school, a kid may be labeled as this, that or the other, but they get a chance to start fresh at camp. At camp, most kids just get to be valued for who they are, without having to worry about how they are viewed by their long-term peers. In fact, two of my three kids kind of don’t want their friends to go to camp with them. It is THEIR place and don’t want to cross the streams of their lives. Camp helps kids learn how to problem solve and make decisions for themselves. One of the things that I have learned from parenting is that kids actually have very little control over their lives. Understandably, that can be frustrating. In a lot of ways, camp helps children feel in control of what happens to them. 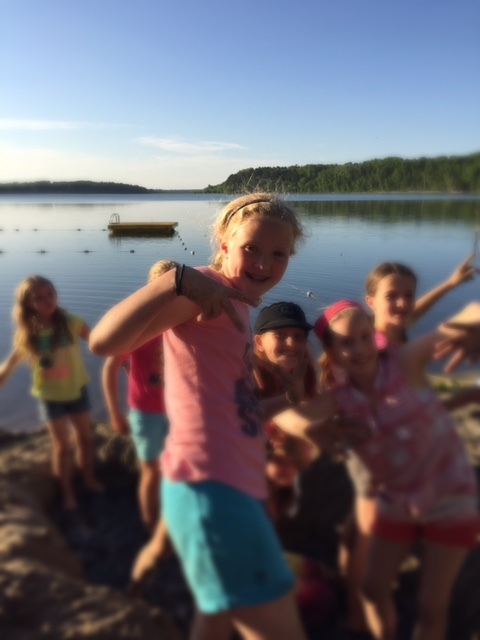 At Skogfjorden, kids get to choose between activities twice a day, they choose what they will do during free time, choose how much money they will take out of the bank and what they will buy with it, choose to be kjempenorsk and speak only Norwegian all day. I think that these experiences make kids feel competent and independent, which in the end will help them to be better problem-solvers in any new situation. And sometimes it can lead to brilliance. One summer, I was assigned to work the camp candy store (or kiosk, as we call it at Skogfjorden). In terms of kid priorities, candy is at the very top of the list. Since the store was only open once a day, the lines were looooong. My oldest son showed up one afternoon and placed a massive and complicated order of soda, chocolate, gummies, etc. He had done the math in his head and paid with exact change for each category of item. I flipped out. “What do you think you are doing? You can NOT have all of that candy!” “Mom,” he responded calmly, “it’s not for me.” Turns out he was running a business. For a small but reasonable fee, he would stand in line for you and buy your candy. Understandably, he had quite a customer base. Not only that, but what he bought for himself he would save until the next morning – when everyone else had eaten up all of their own candy and were desperate for more. Then he would sell at with a steep markup. I gave him $20 at the start of camp on Monday. By Friday, he had doubled his money and started a matching fund for a kid in his cabin who didn’t have much money. Camp forces kids to take a break from their ever-present technology. Everyone talks about how one of the benefits of sleepaway camp is that today’s plugged-in kids are forced to unplug and commune with nature. That’s true, of course, but it doesn’t capture the sheer beauty of some of the things I have seen at camp. I helped a 7-year-old with her camp evaluation last week and the most important thing for her was that she “had seen more animals than she had in a really long time”. This happened on a day that I saw two deer sprint through camp, as well as a woodchuck, a red-headed woodpecker, and a hummingbird, not to mention all the various insects, birds and bees. (We have bears, too, but that just means you have to sing on your way back to the cabin.) I especially love how the girls in my cabin were constantly showing me the caterpillars, inchworms, moths, shells and frogs that they had discovered. Speaking of frogs, I have to share the beauty of The Night of the Frogs. It had rained hard – torrentially hard – that day and then cleared off. On my way back to my cabin, I encountered my son Simon and 3 of his buddies in the middle of the flooded path, catching frogs in the moonlight. There were frogs EVERYWHERE – big and small. It was like something out of the Ten Commandments. The boys had already caught more than a dozen frogs of all sizes. Somewhere they had found a cardboard box. They showed me the inhabitants of their cardboard box with pride. They had worked out a system for catching the frogs and their cooperation was yielding enormous success. Sometimes, I just close my eyes and remember their young voices raised in laughter and exhilaration. Kids benefit from relationships with trusted adults who are NOT their parents. At camp, kids have to create new relationships – on their own, without parental guidance or influence. New friends among their peers are important and perhaps what they will remember most about camp. But the relationships that they forge with trusted adults who are NOT their parents is hugely important. While counselors are not parents, they are more than school-year teachers. They are positive role models who have time and energy to listen, talk, and laugh with our kids. They reinforce the messages and values that we parents are trying to instill, but – unlike us sadly lame parents – THEY are inherently cool. Sometimes kids listen better to these non-parental authority figures who are closer to their age. Parenting is a lot of responsibility and I, for one, feel better knowing that my husband and I am not alone in raising our kids. Camp helps kids figure out who they are. It helps them to grow up. The truth is that putting a kid in the somewhat uncomfortable situation of living with a lot of other people in a small space helps them learn not only about cooperation and teamwork, but how to respect others and negotiate. This helps kids build confidence, courage, independence, resilience and flexibility. I sent my two sons off to camp today. They have reached the point in their teen years when they don’t especially need – or want – their mom around when they are at camp. But that’s ok with me. I know that they are in one of the most safe and supportive environments that will ever be in and that they will come home to me the better for it. 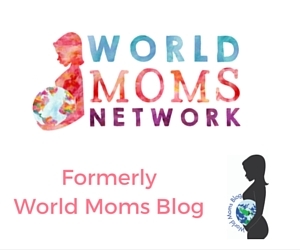 This is an original post written for World Moms Blog by Jennifer Prestholdt. Do your kids go to any sort of summer camp? Jennifer Prestholdt is a lawyer and the Deputy Director of The Advocates for Human Rights, a volunteer-based human rights organization that works locally, nationally and internationally. Her work in human rights takes her around the world, but she spends most of her time in Minneapolis, MN, where she lives with her children (two sons and one daughter), her husband, an elderly cat and a dwarf hamster. As Jennifer’s kids are now all in school (1st, 4th and 6th grades), she is finally finding more time to do the things that she used to love to do, especially running, writing and knitting. Jennifer loves to travel and has had the dubious distinction of having been accidentally locked in a bathroom on five continents so far. Australia and Antarctica await! 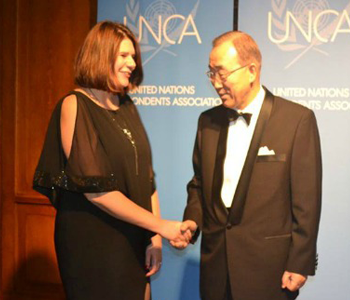 In January 2011, Jennifer made a New Year’s Resolution to start writing about her experiences in order to share with her children the lessons learned from 15 years of work in human rights. The result is her personal blog, The Human Rights Warrior. The name comes from her son Simon, who was extremely disappointed to learn that his mother is a lawyer, not a warrior. You can find her on her blog The Human Rights Warrior or on Twitter @Jprestholdt. What a perfectly timed post! I am sending my 14 year old son off to two weeks of sleepaway camp this summer with a group of very long-time friends, and he’s really excited. I’m a little jealous, frankly (who wouldn’t want to do 2 weeks of camping and kayaking in Maine?) but your post highlights the potential benefits…. I had never considered sleep away camp. At what age did your kids start? I love this post!!!! It reminded me of the times I did overnight camping as a kid with the Girl Scouts. Those were great times, and I got to exercise some independence! The fact that the kids can also learn another language is awesome, too! LOVE this perspective – something my girls have never been a part of. Too late for my now 17 yr old … but perhaps my 13 yr old may want to give it a go. Definitely NOT too late for your 17 year old!! He/She can participate in an International Youth Meeting (12 – 19 yrs + for 8 or 15 days) or a Seminar Camp (17-18 yrs for 3 wks)! Thanks for the comments! The best age to start depends very much on the kid – it’s a parental judgement call. I first went to camp when I was 10, but I sent my kids to camp for 1 week at 7-8 years old and for 2 weeks at 8-9 years old. My 10 year old daughter was not in my cabin this year, so for the first time it was really like sending her away on her own (even though I saw her during the day). She had the best time yet! And my 15 year old is there for a month, in an intensive program that will earn him a year of high school language credit. Tough to be home when he is there – I miss him! I just came across this post and it brought back so many memories – I spent three summers at Concordia’s French camp, Lac du Bois, as a high schooler. We had many of the same traditions – superfrancais, the candy kiosk, singing at meals. It was such a transformative and growing experience. It was very empowering to discover I could fly across the country on my own, drop into a foreign culture and foreign language, and still have a blast! It was actually great preparation for college, and for studying abroad. I’m still friends with many of my fellow campers and counselors on Facebook. I recommend Concordia Language Villages to everyone.